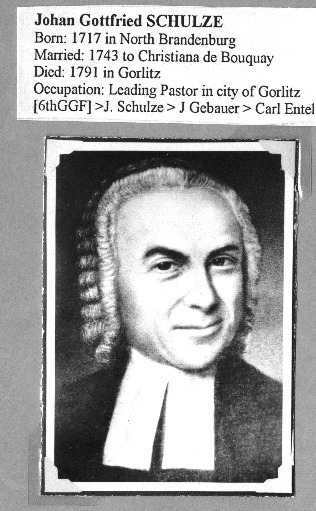 father, Carl Stenger (26), were such ministers, as were many of their forefathers. minister) whose wife, Christiana (103) was the daughter of a minister, Christian de Bouquoy (206). government and was forbidden. 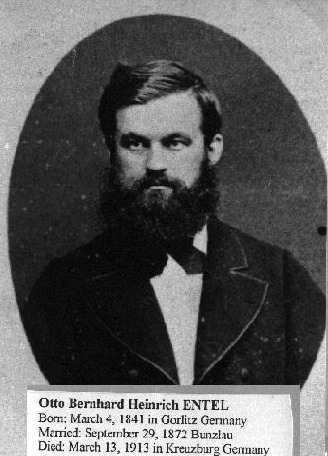 Thus Jahn and his friend Ernst Moritz Arndt had the same fate. 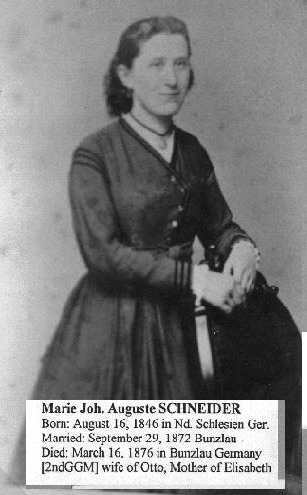 and the other, Jahn, was a second cousin of another great-great-grandmother of mine. was not for religious reasons; it was connected with the quarrels between shoemakers and tanners. 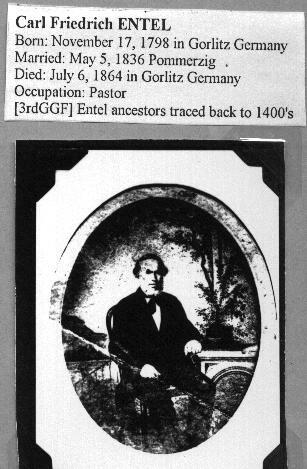 Most of my minister ancestors, except perhaps Gottfried Schultze and his father were rather poor. Reason), 1st or 2nd edition, came to me from the Stenger family. can be traced far back. 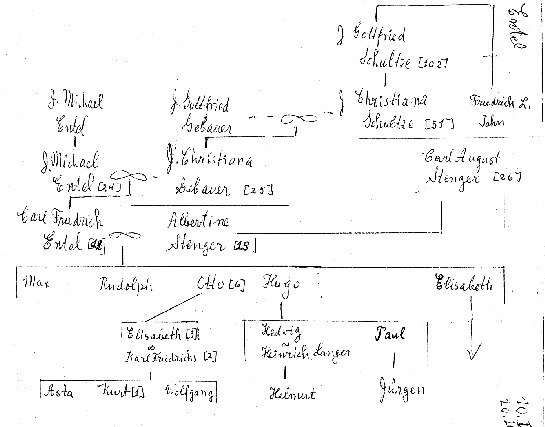 Among these ancestors was one who was also an ancestor of Bismarck. Lüneburg, living in the 13th century (generations 22 and 23). was 91 years old when she died. 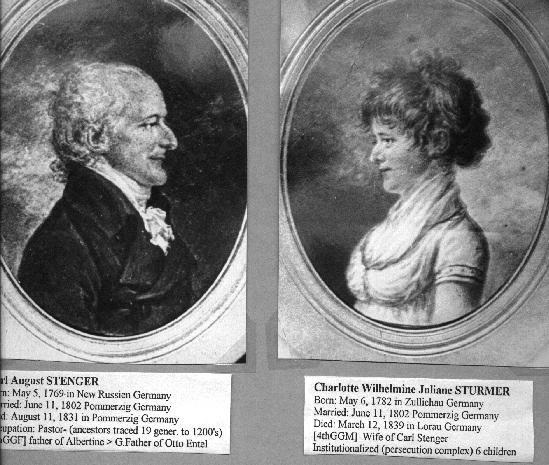 the grandchildren of Franz Otto. Several of them helped my mother when we were children. 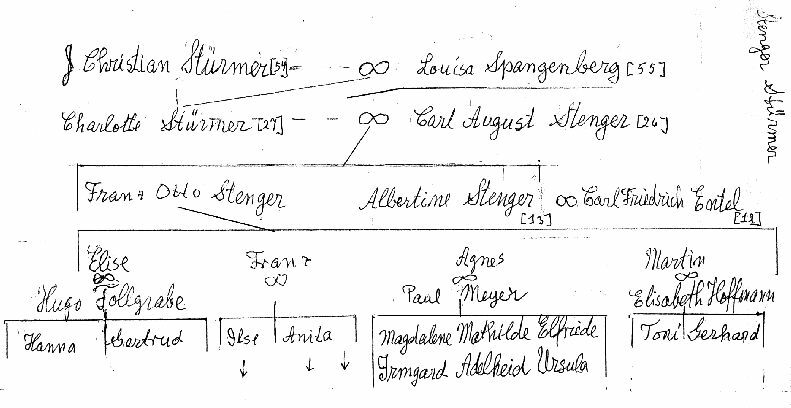 provided me with interesting information about the early Stenger family. head pastor. Carl Friedrich eventually reached that position. the two grandsons of Hugo Entel, Jürgen Entel, and Helmut Langer. 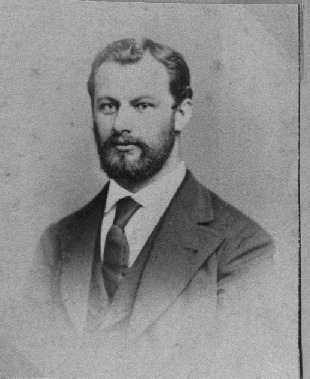 The oldest son, Max, of Carl Friedrich and Bertha Entel, went to a university to study theology. Apparently, he became more interested in the philosophy of Spinoza than in Lutheran theology. youngest brother Hugo in Strassburg, but finally he was sent to an institution. three years old at that time. been possible only if my father's situation were definitely settled. That was the case about 1913. But then my mother's father died in that year. If any of Otto Entel's descendants had inherited some of his afflictions, I would be the one. father; for example the ability to give lectures before large audiences without inhibition.